One of the very few 100% Milne Bay Owned & Operated businesses, we invite you to stay with us in our 17 VERY CLEAN, high quality rooms at an affordable rate for your accommodation needs. 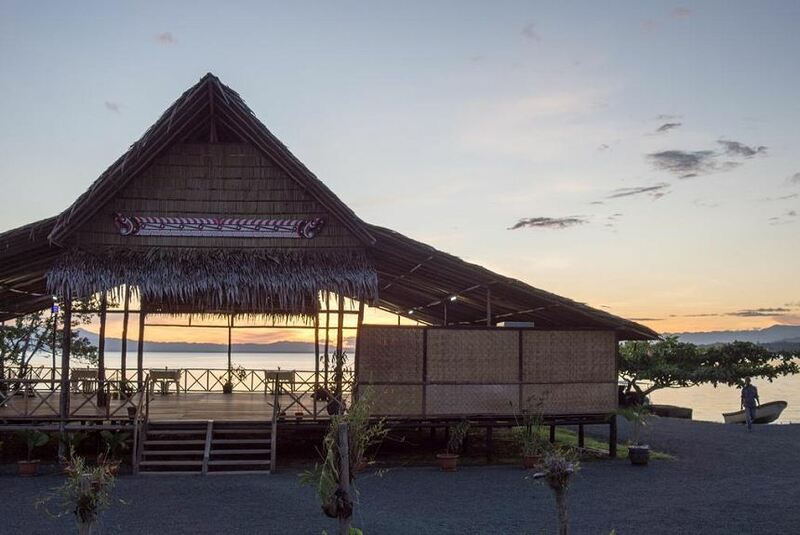 Business travellers, families and visitors to the province will be safe, and at home in our relaxing Milne Bay lodging. Our Traditional Hauswin Restaurant and Bar gives you the BEST VIEW of the bay right on the waterfront, whilst enjoying fresh local seafood, spanish mackerel fish & chips (the best in town!! ), our signature local fern salad, and other local and western delights on the menu. Enjoy stunning sunsets and glorious days on the waterfront, with genuinely friendly and attentive service staff - we guarantee you will be telling friends and family about us! Book now for the festive season and get unbeatable rates!! Merry Christmas and a Prosperous New Year to you and your family!! !